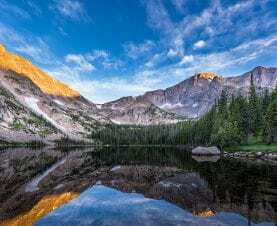 Estes Park and RMNP provide a system of free shuttle buses. 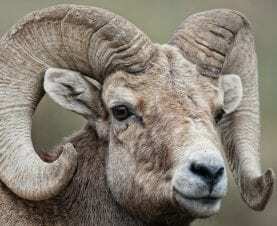 They connect at the Estes Park Visitor Center and Park & Ride lots. 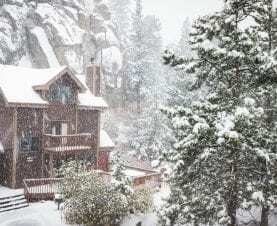 Buses allow visitors staying in Estes Park to easily get around town, to visit the Park, and to hike or sightsee without the hassles of parking, and traffic. 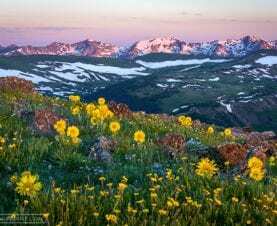 During peak summer visitation, the popular parking lots at Bear Lake and at the Bear Lake/Glacier Basin Park n Ride in the Park as well as smaller trailhead parking lots can fill up during the morning. Your best bet for no hassle parking is to park at the Estes Park Events Center Park & Ride and take the Estes Park Silver Route from the Park-N-Ride to the Town of Estes Park Visitor Center, or park in the 4-story parking garage at 691 N. St. Vrain Ave and walk next door to the Estes Park Visitor Center, then transfer to the RMNP Hiker Shuttle that goes to the Bear Lake Park n Ride, stopping at the Beaver Meadows Visitor Center along the way. The Hiker Express Route operates daily during the 2019 summer from May 25 – Sept 8 and weekends Sept 14 – Oct 7. The first bus leaves Estes Park at 7:30 a.m., and the last bus returns from the Park n Ride at 8 p.m. It runs every half hour during the peak of the day (10 a.m. – 6 p.m.), and every hour early and late. A park pass is required. 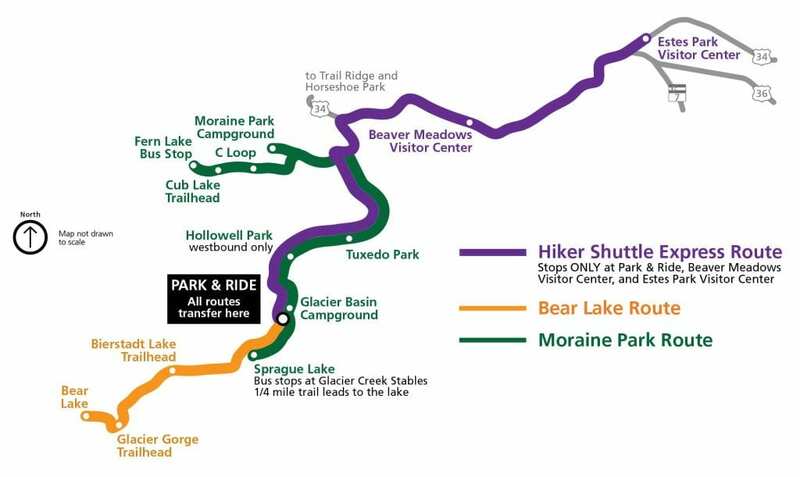 Once at the Bear Lake/Glacier Basin Park n Ride, you can transfer to either the Bear Lake Route to access hikes along the Bear Lake Road corridor (Bierstadt Lake, Sprague Lake, Glacier Gorge & Bear Lake), or the Moraine Park Route to access Glacier Basin & Moraine Park Campgrounds, Cub Lake & Fern Lake Trailheads, and the Moraine Park Discovery Center. From May 25 to October 7 buses run every 10-15 minutes on the Bear Lake Route from 7 a.m. to 7:30 p.m., and every 30 minutes on the Moraine Park Route from 7 a.m. to 7:30 p.m.
Click here for 2019 Shuttle Bus Routes Map download from Rocky Mountain National Park. All routes first trip is at 9 a.m.. Last trip is at 8:30 p.m. Running roughly every 30 minutes. Gold route (Fall River Road) heads out to the Fall River Visitor Center and returns, stopping at lodging along Fall River Road. Silver route serves the Hwy 7 area and the Estes Park Events Complex Park & Ride lot with 400 paved parking spaces and a bus shelter. Blue route goes East on 34 and serves the motels along Big Thompson Ave.
Red route is the Downtown Trolley. Brown route serves Riverside Drive and Moraine Ave. In summer 2019, Estes Park Shuttles operate daily from Saturday June 22 through Sunday Sept 8. Buses stop at shops, restaurants, attractions, and lodging to make it easy for visitors to leave their cars at their lodging or to choose to go completely carless.